Portable entertainment for everyone With its comfortable profile and grip, the Galaxy Tab E 8" was made to go wherever you go. And its clear, bright screen lets everyone enjoy more of what they love, from watching a movie with the family at home to reading at the coffee shop. Power your day The 5,000mAh battery keeps you powered up to watch, read and game at home or on the go. And with Ultra Power Saving Mode, you can make the battery last even longer by restricting usage to only essential applications and those selected by you. Keep It All With You Enjoy more of your favorite music, photos, movies and games on the go with a microSD card that expands your tablets memory from 16GB to up to an additional 128GB. Capture more every day Make shareable moments great with the Galaxy Tab Es advanced camera features. Catch everything in each photo with Panorama and Continuous Shot modes. Video chat from anywhere. And quickly toggle between camera and video modes. With the Galaxy Tab E 8", you wont miss a thing. Safe. Fun. Kid Friendly. Kids Mode, available from Samsung Galaxy Essentials, gives parents peace of mind while providing a colorful, engaging place for kids to play. Easily manage what your kids access and how long they spend using it, all while keeping your own documents private. Premium content all in one place Customize your Galaxy Tab E 8" with the apps you use most. 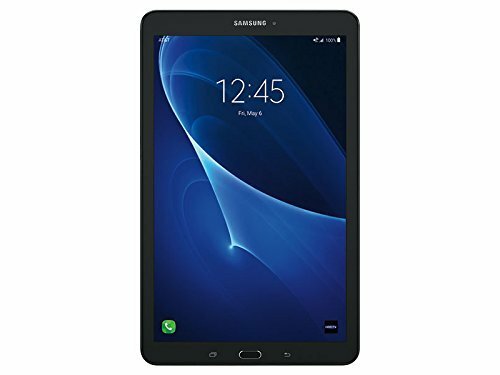 The Samsung Galaxy Essentials widget provides a collection of premium, complimentary apps optimized for your tablet screen. Select and download the apps you want to upgrade your tablet experience. More Reasons to Love Your Tablet get the most out of your Galaxy Tab E 8" with the Samsung app. Along with one touch access to customer support, youll discover device tips, a library of resources and more. Plus youll have access to music and exclusive content. Samsung makes life with a tablet even better.